"Thank you for your knowledge and insight contained in your book, "FDA, You Were Wrong" regarding the cumbersome bureaucracy faced by the innovation and research community. I often wonder where our TMJ surgical practice would be without the Christensen metal Fossa-eminence Prosthesis, which helps patients with the greatest disability and pain." E. E. Keller, D.D.S., M.S.D. 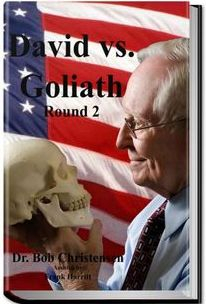 Here at Dr. Bobs Crusade, Dr. Bob Christensen reveals some major FDA problems and the truth about the FDA, where he discusses his battles with the FDA recall of his temporomandibular joint treatment (TMJ treatment). Having the truth revealed means FDA accountability — something that hasn’t yet taken place. In terms of justice, Dr. Christensen is crusading for FDA reform with respect to the medical device approval process, one that is currently fraught with greed, corruption, and malice as seen in the details of his experience with the FDA and the FDA panels. While there are many good things the FDA does for America’s welfare, there are still many things that are broken and need repair. 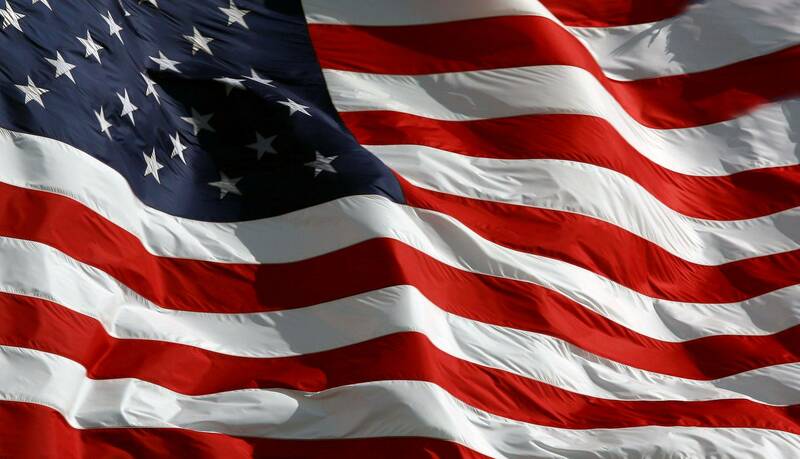 Finally, in terms of the American Way, it’s important to remember that our founding fathers created America on the principle of individual freedom where the individual is free to dream, to create, and to build. Sadly, many federal agencies like the FDA are taking that freedom away — the freedom to innovate — with often oppressive and punitive regulations that punish instead of rewarding the entrepreneur. 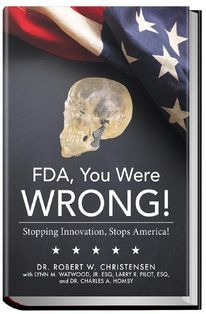 Dr. Bob Christensen has written three TMJ books to share his dramatic and shocking story that give you an in-depth look at the difficulties of the FDA approval process for medical devices. Each one of his books about innovation tells the same story, Stopping Innovation Stops America, but each book is tailored to the needs of a specific audience. Here is the You Tube link: https://www.youtube.com/watch?v=N0AikXwVwi8. 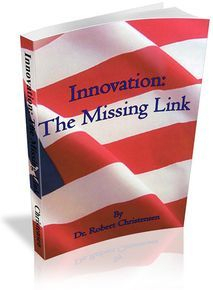 Dr. Christensen’s gripping story of intrigue and deception being practiced by individuals within the United States Food and Drug Administration, stifling true innovation and preventing thousands of patients from getting excellent surgical care in a timely fashion. Learning about the problems with the FDA and their innovation limitations, one starts to recognize their contribution to the causes of unemployment in America. Go to BOOKS page on navigation bar and click the FREE button on any book and enjoy!